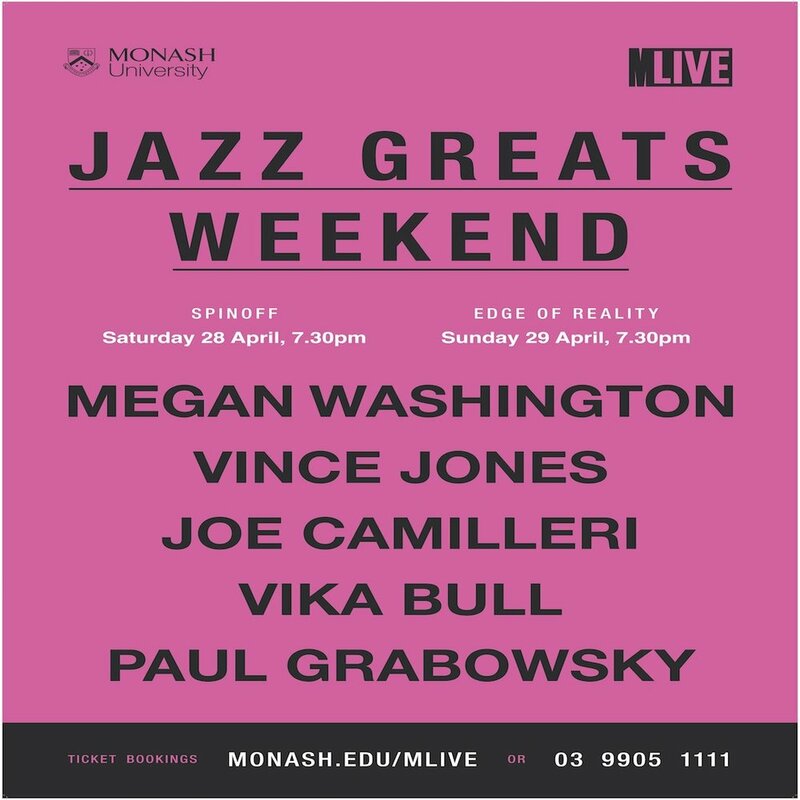 In Spinoff Vince Jones is joined by one of Australia’s finest vocalists Megan Washington and a 20-piece jazz orchestra. Together they revisit the sounds of the 1940s as rebooted in the 1990 television series Come In Spinner. The album of the series, featuring classics like Man I Love, Mood Indigo, Sophisticated Lady, You Go to My Head and I’ve Got You Under My Skin, broke sales records around the country. This time around, MLIVE has commissioned composer and arranger Steve Newcomb to create all new arrangements in a night that promises to blast fresh and surprising energy into beloved jazz standards.